If you know me well, you know that “my uniform” consists of a blazer, tee and a some high waisted denim. 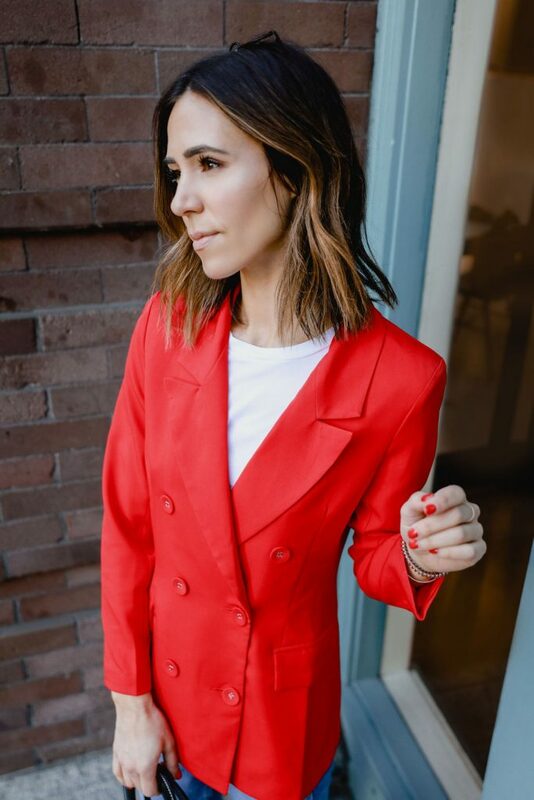 I’m most comfortable when wearing jeans and a blazer – I find that you can’t go wrong with the combo for just about any occasion! Today I’ve partnered with Amazon to put together this full Amazon Fashion Look all while staying true to my “go-to” uniform. 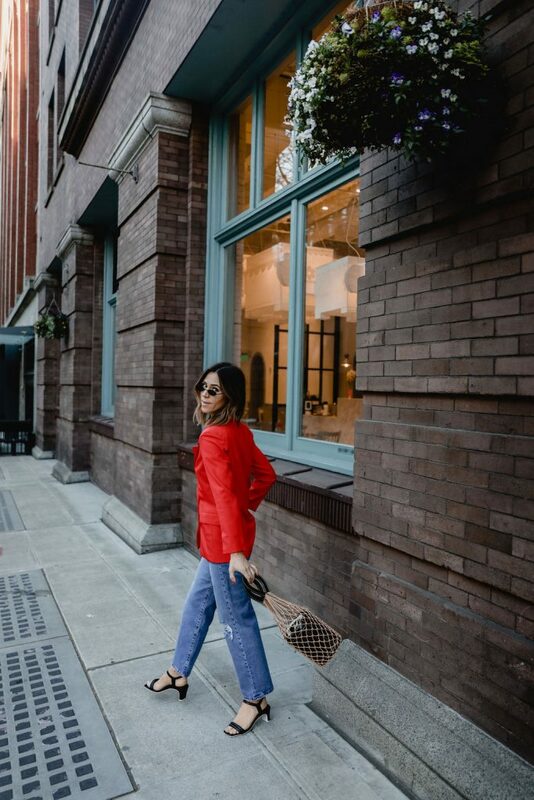 Amazon is known for delivering almost anything to our door stop – I love that I can shop pieces from Shopbop and beyond and get everything delivered in 1 – 2 days! I need my fashion now! Today’s Amazon Fashion look is all about finding pieces that held build my wardrobe, enhance my style and don’t break the bank! This Lioness red oversized blazer tugged on my blazer heart strings. 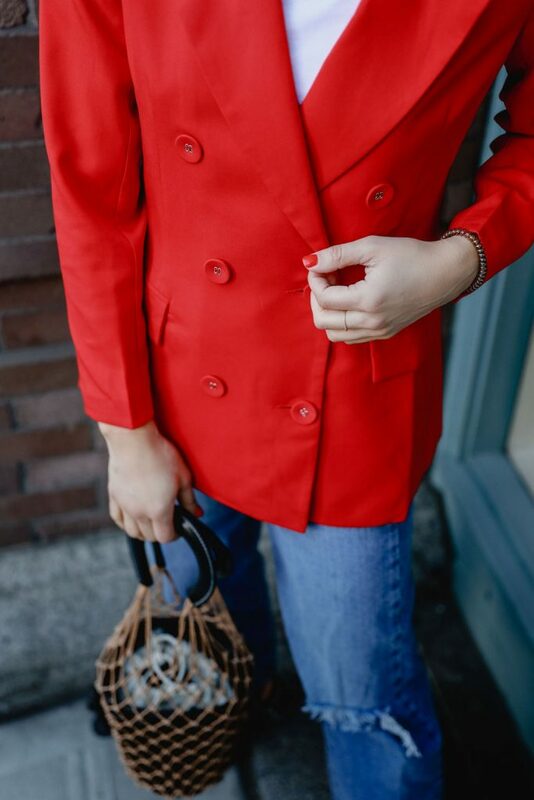 The name of the blazer is actually called “The Don” – could that be more fitting? I’ve alway been a fan of Levi’s denim, I actually own a few pair. When I found these new rib cage high waisted jeans, it was high waisted denim love at first sight! The rib cage style is one of their new styles thats an ultra high waist – a dream come true! When accessorizing this look, I had to consider a few things. I wanted to make sure that I was not only staying true to my style, but wanted to pull in some current spring trends. One trend that super spicy right now, are the 90’s inspired strapy sandals – I can’t get enough of them! These Nine West sandals are the perfect way to try the trend and they are under $30! And of course I needed to added my favorite Net Bag to the look – I wore this bag all last summer and am happy to see that it’s bag again this summer! Everyone has “their” uniform – the items in their closet that they are consistently grabbing, or even the items they consistently buying. More often than not will I always have a pair of jeans or a denim blazer in my shopping cart. Admittedly I probably have 20+ of each! 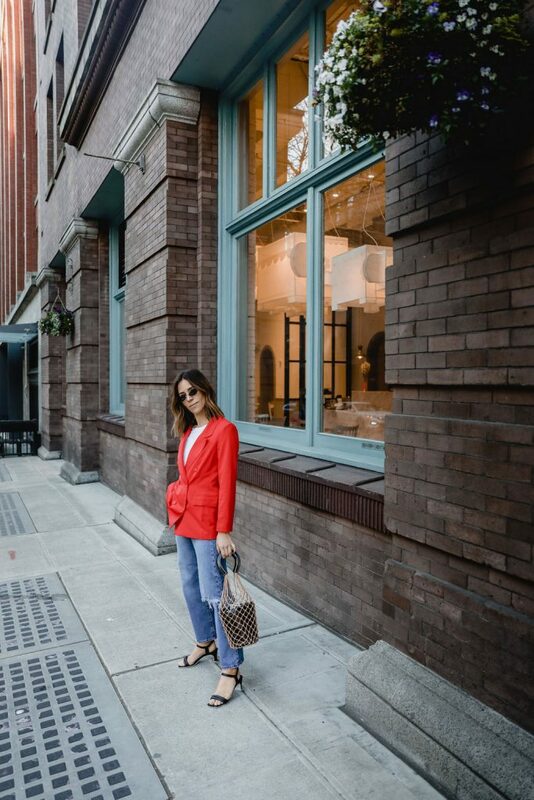 Most recently I styled this Ann Taylor blazer with a wide leg pants – for this look I ventured outside the traditional blue denim and opted for a more white pant all while sticking my to my uniform. 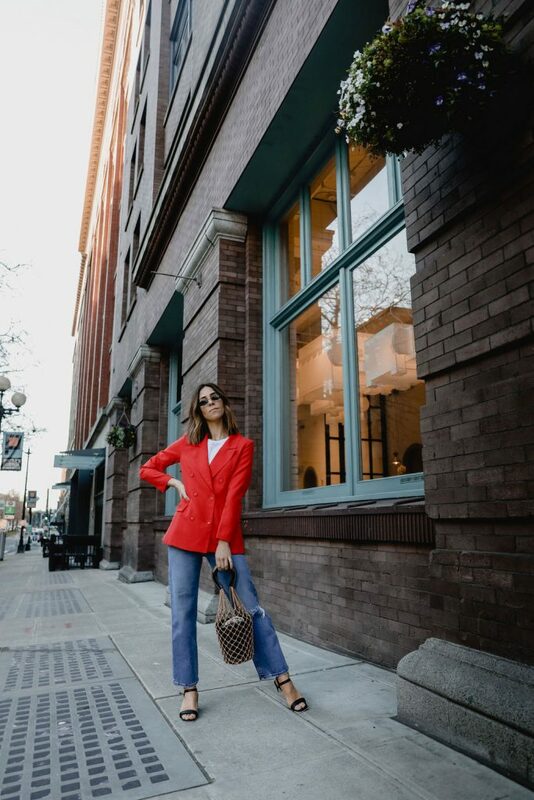 One of my more traditional go-to’s, similar to what I featured in this post, is an oversized blazer styled with a pair of high waisted distressed denim. Last month I went crazy about lilac and found this amazing lilac blazer. It’s one of those pieces that can quickly elevate any look from causal to streetwear in seconds. This look was also styled during the colder months which is proof that I live in this uniform no matter the weather. This post is sponsored by Amazon Fashion – all thoughts are my own.